It's been a long time. Remember me? I hope you do because I missed all of you! Let me get this off first: Thank you that even though I moved on from blogging last 2015 and haven't posted since (except about Celebrating Debutantes 2016), people are still visiting The Escapist. Can you imagine that?! That's just amazing! Thank you. The reason why I haven't completely removed this blog is because I believe the things I posted before will continue to reach out and give a good book recommendation to everyone who seeks. And that's what happened! Secondly, you must have been surprised to read this blog post with that title, "Back in Blogging." And yep, you read that right - this is not a drill - I am back in blogging! But not with The Escapist (so sorry to burst your happy bubble - if there's such). So invite everyone of you to come visit my new blog, Yours, Black Butterfly, and I hope that you'll enjoy it - as much as you did with The Escapist - learn and be inspired as well. Again, thank you for the love and hope to see you at Yours, Black Butterfly! P.S If you are an author or publisher whose books wanted to be featured (still) on my new blog, you can still reach out to me at my old blog email address at michelleshoutsrandom AT gmail DOT com. You're probably wondering how or why you've come across a tweet, update, or promotion leading to this post. The Escapist comeback? Unfortunately, no dears. But there's one thing I refuse to bury with my blogging memories. A legend, where old people or celebrities or businessmen wanted to leave behind, something that will be long remembered. 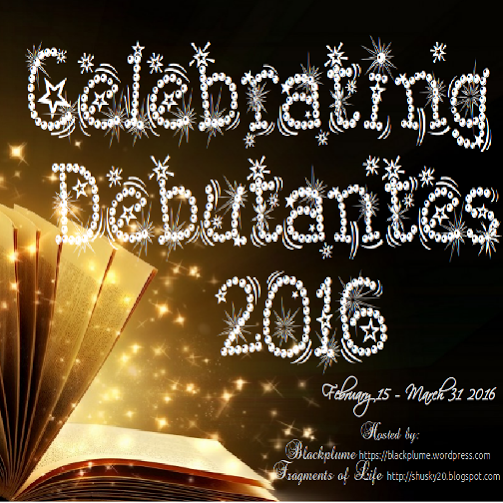 Mine, in book blogging world, is Celebrating Debutantes. I know most of you enjoyed Celebrating Debutantes--even I, the host, did too. Despite much effort and time (including working on different schedules and time of different debut authors!) you have to give to make this event possible, I loved every part of it. 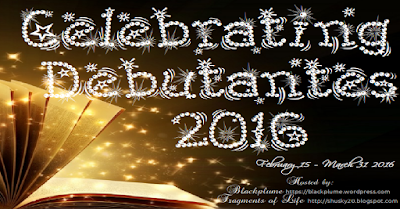 And so I'm ecstatic to let you know that this event will continue to live through the managing of my good friend Precious at Fragments of Life and Maricar at Blackplume. P.S Happy Valentines! And I missed you too! And writing on Blogger! Too much memories. If you would notice, I barely post reviews or any thing on my blog these days. I have been very pre-occupied with my whereabouts for the past few months and I have started to be out of my reading and review schedule. With a lot of things in my mind, to focus on, and to prioritize outside blogging, catching up on my TBR added some baggage which I--as I realized--can't handle anymore. I love reading and even blogging. 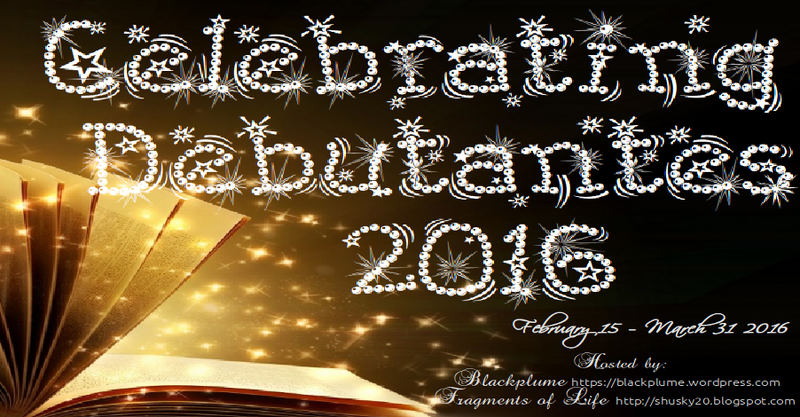 It has been part of me for three years and if you would read/recall my 3rd blogoversary post, I wished for more and stronger years with you. But a lot has changed and recently I had come to a decision to move forward. I admit that I can no longer handle book blogging and real life. The Escapist comes back to reality, for good. And as I write this, I know that I've made a good decision. I know you must be thinking, reading (and blogging) isn't that hard or heavy to handle. No, it isn't. But it came to a point that I have so many things to do and to prioritize that I don't have time to do other things. Thank you all for the wonderful three years. I loved Of Metal and Wishes so much it hurts and it hurt more to wait for an entire year for the sequel. Of Dreams and Rust, apart from the outstanding characters and great story-telling, was quite different from the first book. This one was about wars and survival, of friendship and family, of bravery and truce. These things appeared in the book one first but here, it was intensified and emphasized and even more felt. I was still in awe of Wen's bravery and compassion with people. She might seem heard-headed in some parts of the book but it showed how good her heart is no matter what a person's race is. Despite only half exposures were given to Melik and Bo, I saw the great changes in them. They became fiercer, stronger, passionate, and dangerous. I loved how the events and their love changed them in many ways especially in the ending, although heart-breaking. The love triangle was another thing. Did I told you that this was one of the non-annoying type of love triangle? That this was a pure mixture of love, pain, sorrow, joy, and just raw emotions? It was beautiful and heart-wrenching. Although intensified and more action-packed, I can't say I liked this better than the first. I fell in love with the mystery and thrill of it (Of Metal) which I didn't found here. Of Dreams and Rust was good and I'm glad I read more from this world. I almost ached in the end, but I'm glad it didn't turned out as I feared. I've closed this book and felt a pang because I'll miss it, even though I'm just a few feet away from my bookshelf. 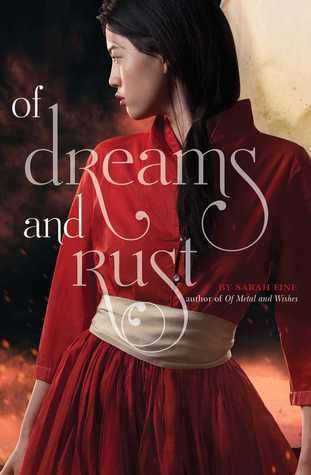 If you read and loved Of Metal and Wishes like me and haven't read Of Dreams and Rust, what are you waiting for? If you haven't read Of Metal, then, WHY? Please read this duology and experience the back-to-back feels and intense each book has about to give. Check out my review on Of Metal and Wishes. *Thank you so much Simon and Schuster for the review copy in exchange of an honest review! The first in a thrilling new trilogy of epic proportions from best-selling children's author Thalia Kalkipsakis. 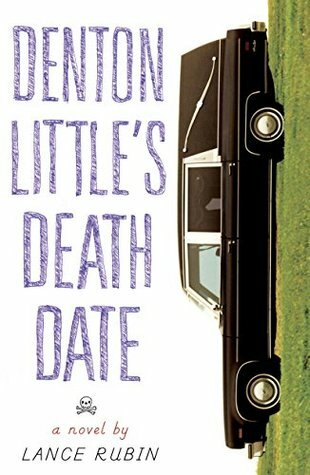 A fresh take on the time tripping genre, The Lifespan of Starlight is Gattaca meets The Time Traveler's Wife. It already lies dormant within you: the ability to move within time. In 2084, three teenagers discover the secret to time travel. At first their jumps cover only a few seconds, but soon they master the technique and combat their fear of jumping into the unknown. It's dangerous. It's illegal. And it's utterly worth it for the full-body bliss of each return. As their ability to time jump grows into days and weeks, the group begins to push beyond their limits, with terrifying consequences. Could they travel as far as ten years, to escape the authorities? They are desperate enough to find out. But before they jump they must be sure, because it only works in one direction. Once you trip forwards, there's no coming back. I didn't feel the story or the main character right away on this book. I was even confused and wanted to stop reading. Right then. I wasn't being rude. 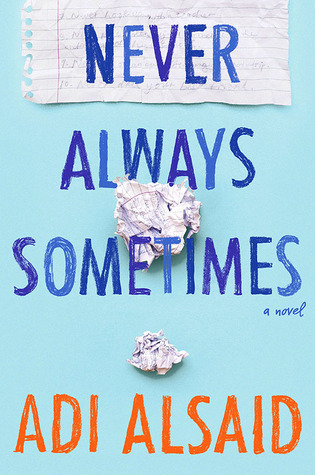 You know I hate marking a book DNF but at that time I was VERY behind my reading and reviewing schedule and I feel like I have a bad case of reading slump. If the book didn't caught my interest from the first sentence or paragraph, then I'd be better off with worthy-of-time books. However, I continued reading Lifespan of Starlight. One of the reasons I continued is because I really like the sound of this book. The blurb is very interesting and something new in my selection. The concept is interesting, but there was a point where I was like, that's it? I thought there'd be more bomb in time travelling. But I'm glad I did read on! I end up enjoying Lifespan of Starlight. Although there weren't many information about the society or an expected secret information about time-travelling or "jumping", it was really good. The ending was like waking up in a dream where the good part is yet to happen. Before, I have already decided not to read the sequel, but after that freaking unbelievable ending, I'm gonna read it. If only I know how to jump in time to have the sequel right away. 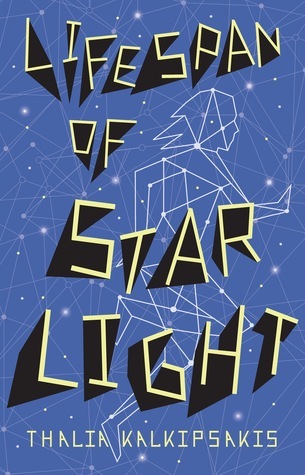 I recommend Lifespan of Starlight to readers who enjoy sci-fi, futuristic novels, time travelling, dystopia/utopia, and such. It was fresh, exciting, and with a crazy ending. You'll end up enjoying this book anyway whatever your genre is. When I reached the ending, it was all better than I expected. I may be bored in the beginning, but after that, I was drawn to the book up to the very last page. *Thank you so much Hardie Grant Egmont for the review copy in exchange of an honest review! Monet isn t just another lust-struck teenager trying to win the heart of Rock God Jeremy Bane--she needs the prize money from his new reality show to cure her illness. Monet has Fluxem, a contagious disease that's spread through saliva. It's completely curable if you have enough money, which she and her single mother don't. Now that she's on the show, Monet has to work harder to keep her Fluxem hidden. She only has to keep the secret long enough to woo Jeremy Bane so he picks her as the winner. She doesn't even care about the love part; the prize alone will change her life. But the real Jeremy Bane is nothing like she imagined. Monet finds herself fighting against feelings that make her want to give in to her attraction and Jeremy's attempts for a kiss. The further she goes in the competition, the more impossible it becomes to resist him--and when the producers turn the tables and start digging up dirt on the contestants, Monet fears her secret will be revealed before she's ready and ruin everything. The only way to win Jeremy's heart is to tell him the truth, but confessing her disease could cost her the competition, the prize money, and him." *This review is based on advance reading copy. There might be some changes with the finished copy. I was excited to read Date With A Rockstar because even though I've read books/watched movies with the same theme, I always knew I'd fell for it simply because I'm hopeless romantic. And been there. You know, wishing to date a rockstar. Fangirl mode. But in this novel, our female main character, Monet, wanted to win the date competition not [just] because she's a fangirl, but mostly because she needs the prize money to be cured of her contagious disease, Fluxem. Now I know that I'm familiar with this kind of story, but I'm still surprisingly pleased with what I've read. 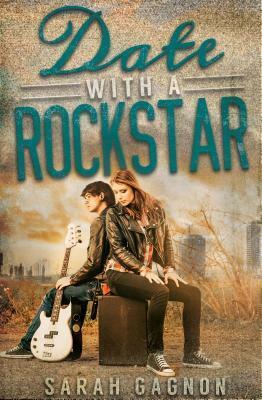 Date With A Rockstar was fun and it also had little elements that stood out. Like its futuristic world and sci-fi-ish. I liked it, but sometimes--especially the first time--it seems confusing. I was more like a contemporary genre and the little sci-fi wasn't really necessary. I also liked the relationship between Monet and her mother had. Jeremy was okay for me, he could be sweet around Monet but I don't know, I don't think I fully trust him. There were also "cat fights" and producer strategies that are too annoying to be realistic. But then again, it's a [reality] TV show, so what can I expect? Date With A Rocktar has fairytale-like story. Prince charming, happy endings, with Cinderella spin. Although I feel like the ending was a little too fantastical, but not bad. Cute even. The Selection fans (though I can't say they're the same, but the competition is there, so), hopeless romantics, fangirls, romance suckers (all like me) would enjoy and like this book! *Thank you so much Spencer Hill Contemporary for the review copy in exchange of an honest review!